Premature babies : Read this woman's story on World Prematurity Day. When I imagined myself having my first baby, I thought of those special first days at home from the hospital, watching my little one reach those important milestones that first time parents look forward to celebrating. But for me – and for thousands of families across Australia each year – things didn’t go exactly as I’d planned. Kirsty with baby Essie born at 31 weeks. Images supplied. When my daughter Poppy was born at 33 weeks gestation back in 2012, I became a statistic. The number 1 in that 1 in 8 statistic (according to the 2016 report from the Australian Institute of Health and Welfare) that reveals how many premature babies are born in Australia each year. And when her little sister Essie followed at just 31 weeks in 2014, I developed an even deeper understanding of what life with a premature baby means. Parents need looking after too. Friends and family mean well but when it comes to dealing with parents of premature babies, so many people simply don’t know what to say - or if to say anything at all. The issues premature babies face is an unknown for so many and the fear that sets in - fears that there may not be a happy home-coming for the little baby you’ve just become a mother to - can seem overwhelming. 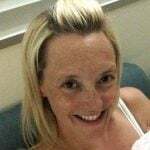 When my youngest, Essie, was born so many weeks ahead of her due date, I wasn’t allowed to invite visitors into the Special Care Nursery that she had to call home for so long but I think my best advice for any friends and family of parents to premature babies is to remember to be happy for them. Celebrate this new, tiny life. Becoming a parent is an amazing adventure and that is worth being excited about. Yes, the needs of a premmie parent might be different but it’s important to remember that they still do have needs - and the care and support of friends and family always means so much. Instead of bringing baby clothes that will remind them of how different their newborn premmie is, think creatively and give the gift of delivered meals waiting for them at home to take care of other family members, or books and magazines to help while away those lonely hours in the hospital as they wait for their baby to take its place in its cot at home. Even a simple offer to sit with a parent in hospital might be much appreciated - especially for parents of babies who face long stays in NICU or Special Care. LISTEN: Bec Judd and Monique Bowley walk through the entire process of giving birth, from start to finish, with midwife Cath Curtin. Yes, of course my baby girls were both beautiful and loved but the reality was that they were also unwell in their first weeks of life and they needed the specialist care of an amazing team of medical professionals before I got to enjoy all the moments so many parents of full-term babies take for granted. And those milestones I’d looked forward to celebrating? They were still so important - even more important, really - but they were different. And in the earliest days of being the mother to a premature baby, I had to adjust my thinking to realise that. "As I continue on my journey as the mum to two amazing, healthy little girls, I know there’s still so much more to look forward to." Image supplied. I know I’m not alone in thinking that way. Of course, so many other families do it harder. I know that too. Babies born at 25 weeks (and even younger) have a huge battle on their tiny hands and when those life-changing goals are finally achieved - the first time they can wear clothes on their tender skin, or the first time they can breathe on their own - parents of premmie babies have so many reasons to celebrate. One of the most special milestones for any premmie’s parent is ‘my first cuddle’ and the moment I held my babies outside of their special hospital crib is one I will never forget. The milestone that beat them all, though, is ‘I get to go home’. And now, as I continue on my journey as the mum to two amazing, healthy little girls, I know there’s still so much more to look forward to. November 17 is World Prematurity Day - a day to honour special little lives and the families they are part of. Kirsty Munroe is a mother and business woman behind The Little One which specialise in providing products especially for premature babies, including organic clothing, Premmie Milestone Cards and the new Baby Milestones Memory Book.